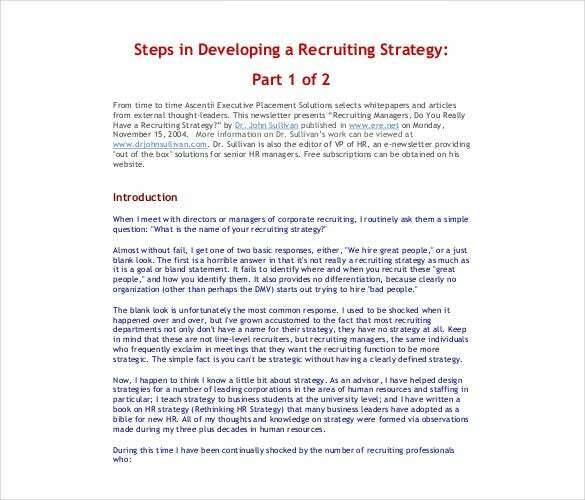 A recruitment strategy is defined as a written document that outlines the organizational approach to find and hire new staffs or employees for the organization. 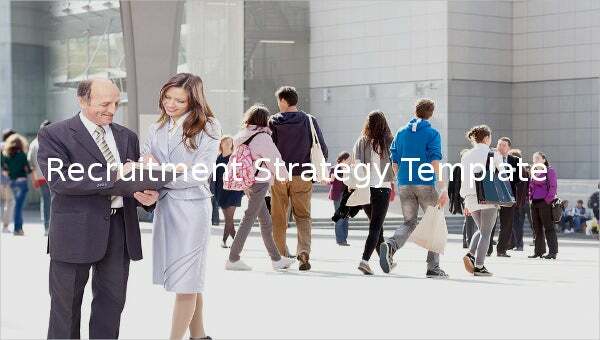 It is to be noted that each recruitment strategy will be different depending on the specific requirement(s) of the business. 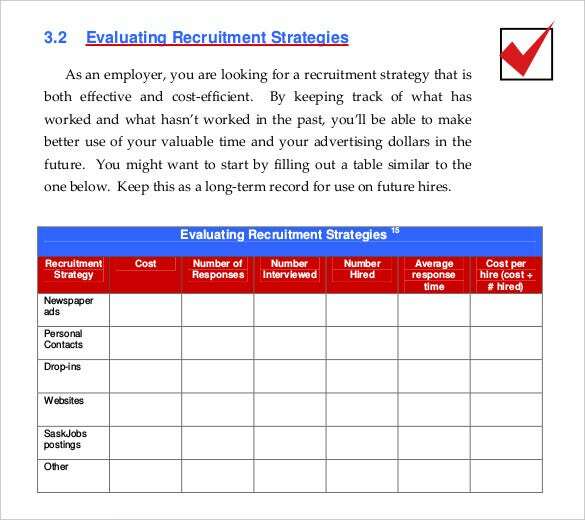 Our experts have developed these recruitment strategy templates in various formats like PSD, PDF, MS Word, etc. for convenience. You can also visit Business Strategy Template. 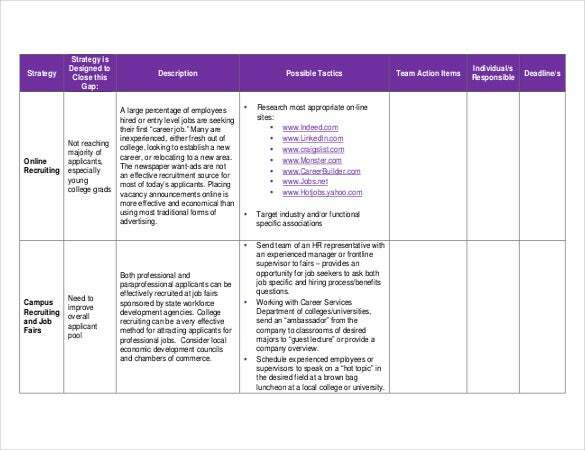 And, our recruitment strategy templates have been developed keeping the same in mind.These are mostly used by businesses, human resources, managers and perhaps other staffs or professionals to drive the various processes and goals linked to the recruitment of people. Strategy Template. 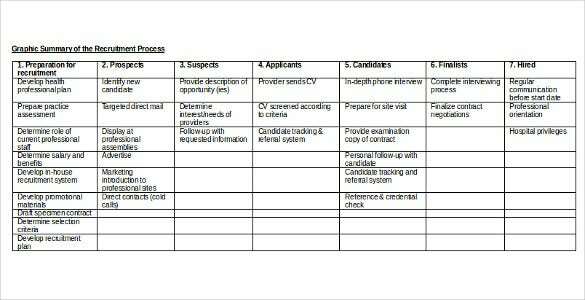 www.vhcf.org | You are getting a very detailed recruitment strategy plan template here that offers a full summary on what to do with every person involved in the process- such as prospects, suspects, candidates, applicants etc. 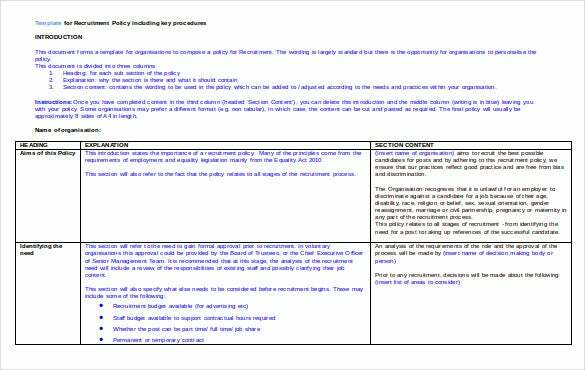 dvfbc.com | This recruitment strategy template will cater to two of your recruitment plans or campaigns and it comes with sections on all the major aspects here- description of the campaigns, possible tactics, team action items etc. 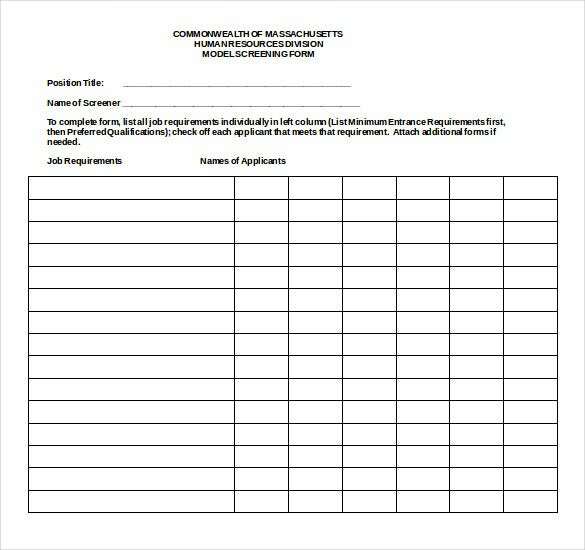 www.sasknetwork.gov.sk.ca | This template here will enable you to chart the status of the various recruitment strategies that you would go for through various parameters like cost, number of responses, number interviewed, number hired etc. 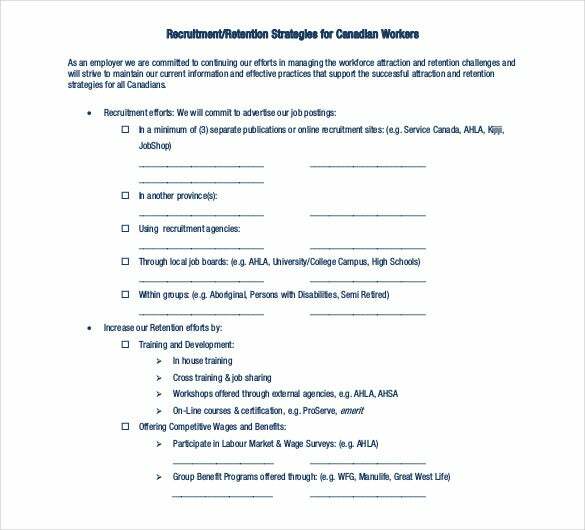 www.ahla.ca | You are getting a readymade form on the recruitment & retention strategies of Canadian workers here where you have to select your option from various recruitment effort choices and options for increment of retention efforts. 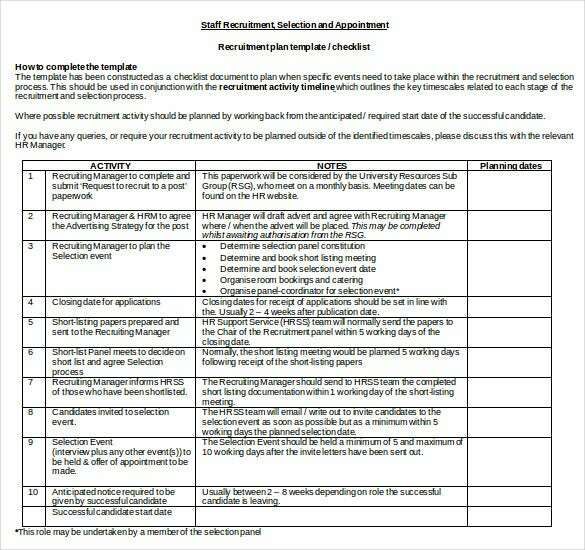 www.northumbria.ac.uk | You are getting a very functional template here that will enable you to chart down the different activities and relevant notes to be undertaken in your recruitment plan along with the deadlines. 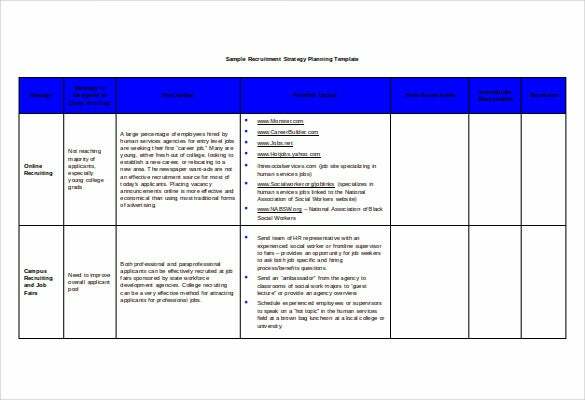 deliver.jsi.com | If you need ideas on formatting a recruitment plan, this template would be handy with its instructions on proceeding with the plan and the readymade table that charts the phases, tasks, completion date and owner. 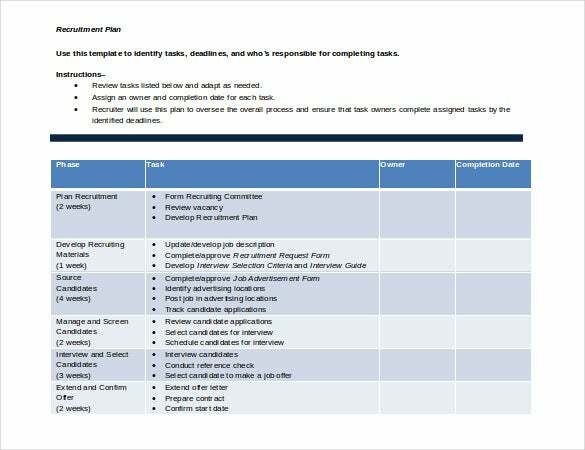 www.mass.gov | This template is here to make your employee screening process easier as here you will get a table with the different job descriptions to be jotted at the left and then you can check whether the applicants at the right match up with those. unpan1.un.org | Have you been assigned to a recruitment campaign and you don’t know where to start from? Well, this template here speaks about the importance of such plan and also lays down the needed strategies for it. 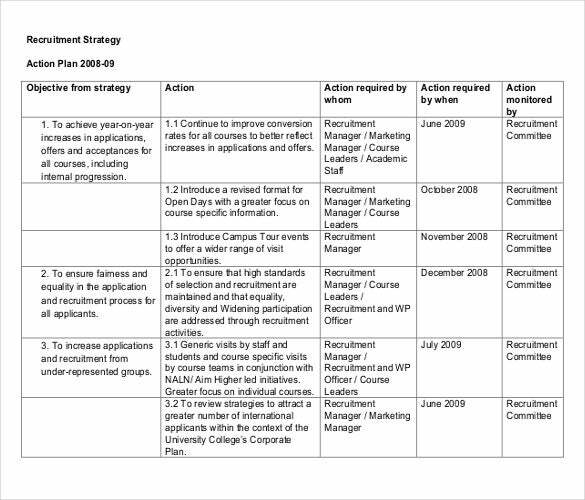 www.nua.ac.uk | You are getting an elaborate and readymade table for a recruitment strategy policy here that has got all the important columns such as objectives, action plan, action assigned to the personnel, the deadline etc. 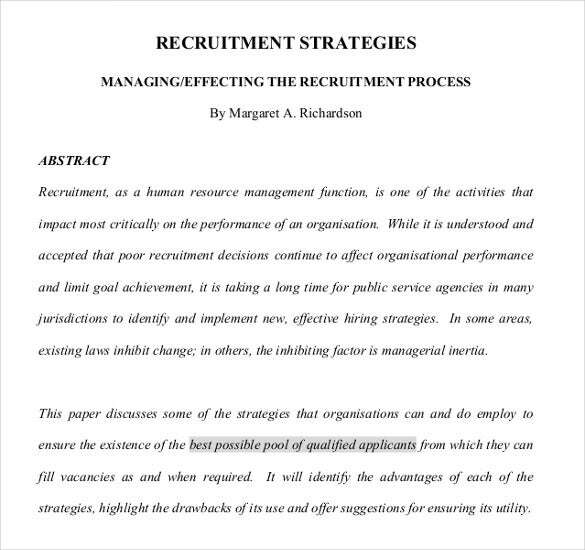 www.rcpsych.ac.uk | You are getting a detailed text on recruitment strategy here that will help you to understand the process in a thorough light. 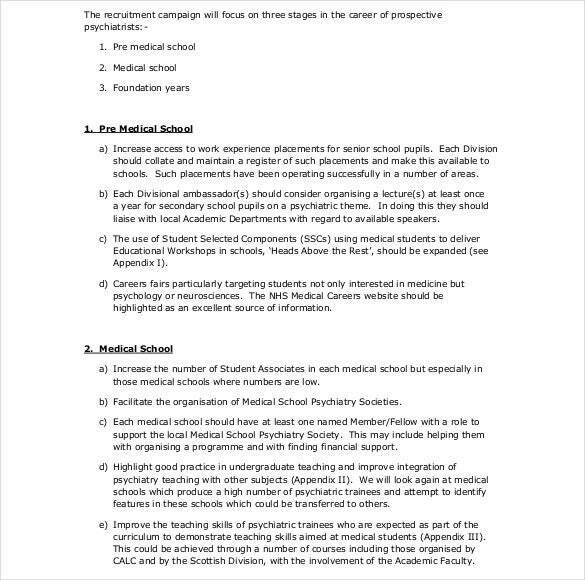 The strategy is meant to focus on three phases of the career of a psychiatric professional.